Photos taken with latest digital cameras are big enough to print a wall sized poster. Facebook doesn't show very high resolution photos. Facebook resizes photos after you upload them. Uploading a high resolution photo is a waste of time and bandwidth. So its better to resize them before you upload them on Facebook. You can easily resize the photos using uMark. On the output options screen select the Resize Watermarked Images option and select Absolute. Specify the suitable size like 800 or 1024 in the W box. This will resize all the selected images to 1024 pixels width. 1024 X 768 pixels is large enough resolution for viewing the photos on any device, be it a computer screen, iPad or a phone. The upload will be faster. If you are uploading personal photos its always advisable to add a visible watermark. It not only stamps your ownership on the photo but also discourages people from using your photo for commercial or nasty purpose. You don't need to put a large watermark, just your name on some corner of the image. You can add the name of the place on photo and date you visited as a watermark. 20 years down the line when you are showing the snaps to your grandchildren you won't have to strain your memory trying to remember where did you take the photo. Adding the date on which the photo was taken is easy with uMark. Add a Text watermark and insert a watermark macro for creation date <<CREATEDATE>> or you can also insert the EXIF property Creation date <<EXIF:36867>> macro. 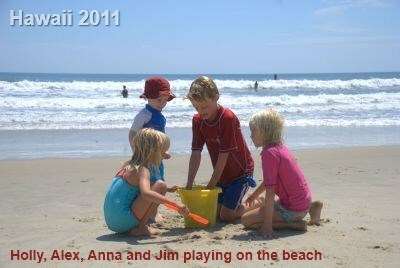 You can also put the names of people in the photograph as watermark. This is better than Facebook's photo tagging because people can remove their tag from a photo, but they can not remove a watermark. People often remove a tag because they don't want the photo to show up in their own Facebook profile to their friends. Fair enough. 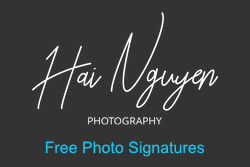 If you have watermarked them, and they have removed the tag, it won't show up in their profile but you can still see their name on your photo. It serves interests of both you and the person you are tagging in the photo. Previous - Who needs a watermark software?